Dice Devils GC: For the Motherland: Soviet Reinforcements! 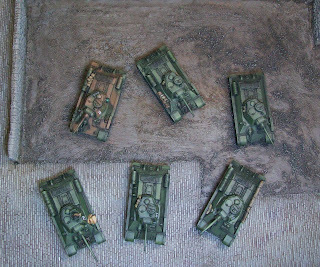 Got some new models painted up. 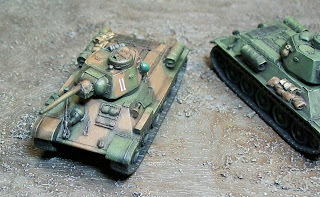 Have 3 more IS-2s to do if I have the desire to run the Guards Heavy List. 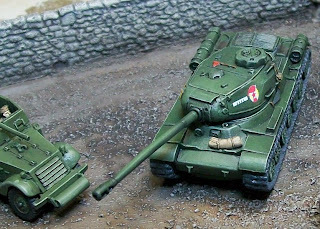 After that some T-70s, Su-85s and maybe some Heavy Assault Guns. 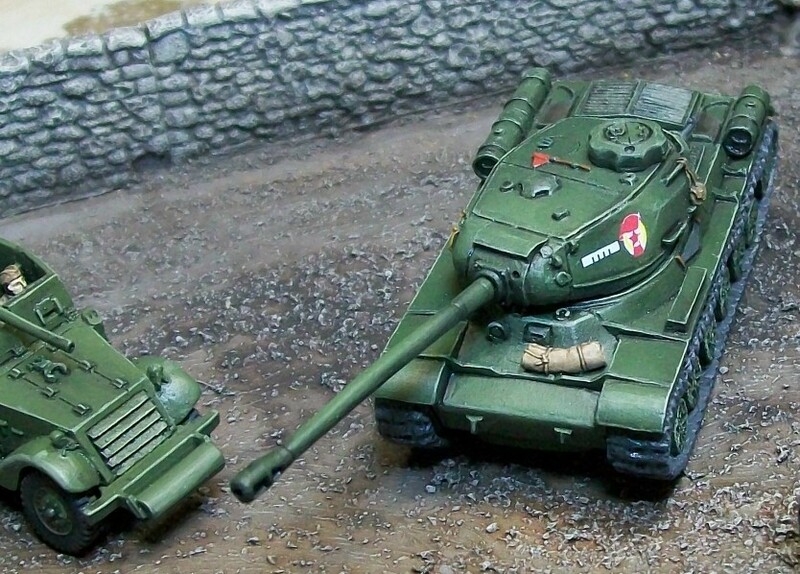 Su-100s or ISU-122s? In case I can't take just 85s, 6 T-34s to mix on in. HQ with Soviet camo?? Who knew? Matt Varnish's shell-cam view as his SP Arty ranges in. I have started the same project as you but took a completely different road.